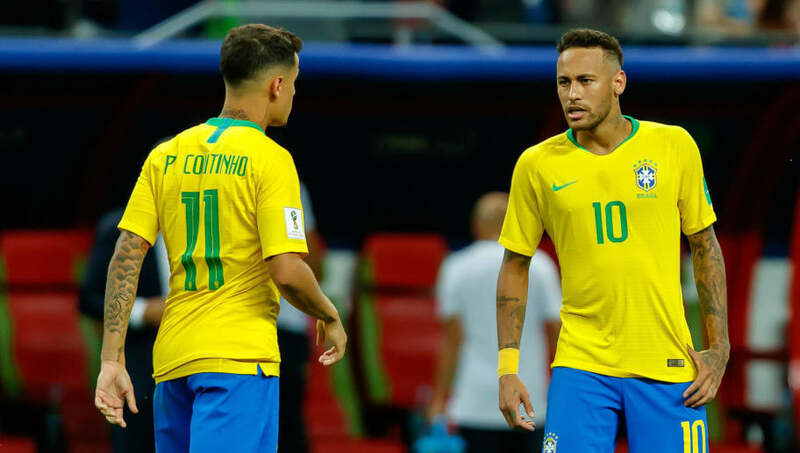 ​Barcelona could reportedly consider selling Philippe Coutinho just a year after making the Brazilian the third most expensive player of all time, if it means the club being able to fund a seismic deal to take Neymar back to Camp Nou. Barça spent months attempting to prise Coutinho away from Liverpool and eventually succeeded last January after a €140m agreement was struck. But already the player's future is in doubt after the latest report suggests he could now be moved on in the summer. The information comes from the Evening Standard's Spanish football correspondent Ben Hayward, who notes that Coutinho has failed to nail down a role after first being billed as a replacement for Neymar wide on the left, and then to take over from Andres Iniesta in midfield. The 26-year-old was forced to miss two La Liga games in November because of injury and has only started once since his return, with an in form Ousmane Dembele preferred instead. Where exactly Coutinho could go if Barça were looking to find a buyer remains to be seen. No doubt the usual suspects - Paris Saint-Germain, Manchester City - would be linked. Even Manchester United have been speculatively linked with the player, although it seems highly unlikely he would entertain the notion of moving to Old Trafford given his Liverpool past. Hayward's report notes that Neymar is 'open' to rejoining Barcelona, while a meeting is said to have been set up between Andre Cury, the top scout who helped mastermind the original move to Spain from Santos in 2013, and the player's entourage before Christmas. But PSG coach Thomas Tuchel has put a dampener on the rumours of Neymar linking up with his former club after claiming that the 26-year-old is 'happy' where he is. "I think Neymar feels really happy, he's professional," Tuchel is quoted as saying by the Daily Mirror. "I think he feels good here, both in the dressing room and on the pitch, he is disciplined, he does a lot of things on the pitch. You have seen his statistics and what he does in training."